Put together by a local florist, the Orange Kalanchoe Plant makes for a lovely and vibrant gift. 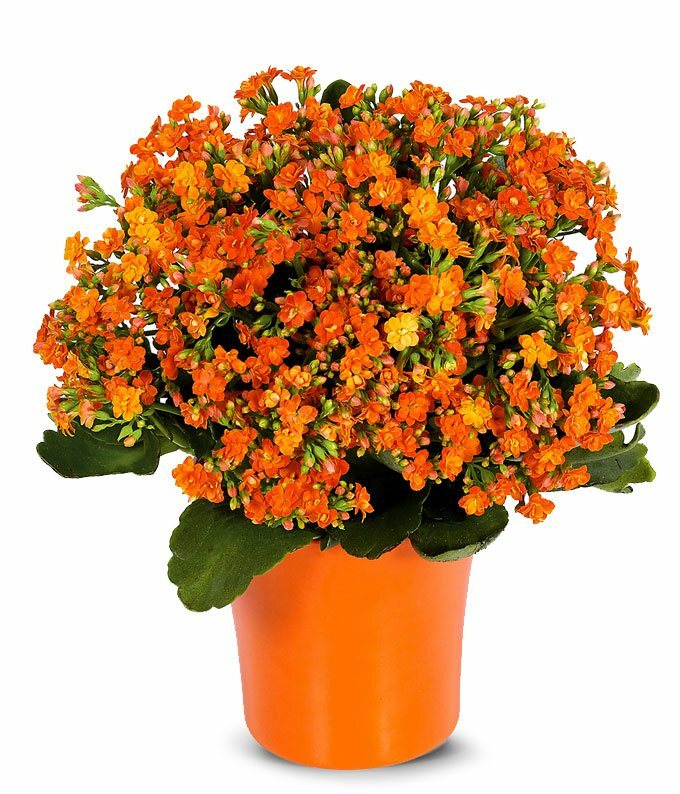 Orange kalanchoe comes in a colorful cache pot and can be delivered quickly. This orange flowering plant makes for a delightful housewarming gift or for Halloween. Measures 9"H X 9"L.